Are you ready to earn ₦3,000 for each person you can refer? 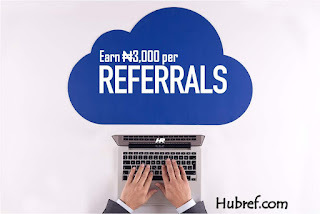 There is a new referral network called Hubref.com that pays the sum of ₦3,000 to each of its members for each person they successfully to the network. 1. You will create an account with us and make an activation payment of ₦5,000 to the Administrative local bank account that will be provided to you AND not to the person who's referring you to Hubref. 2. We shall activate your account immediately your activation payment is received and 60% (₦3,000) of your activation payment will be sent to the account of the person who referred you while 40% (₦2,000) will be held by the Administrative Team for proper maintenance of Hubref. You will be able to access all features which includes referring friends to Hubref. - Paying of cable/decoder bills. - Purchasing of airtimes and recharge vouchers. - Publication of individual businesses to members. - Withdrawing of funds into any active Nigerian bank account & many more. 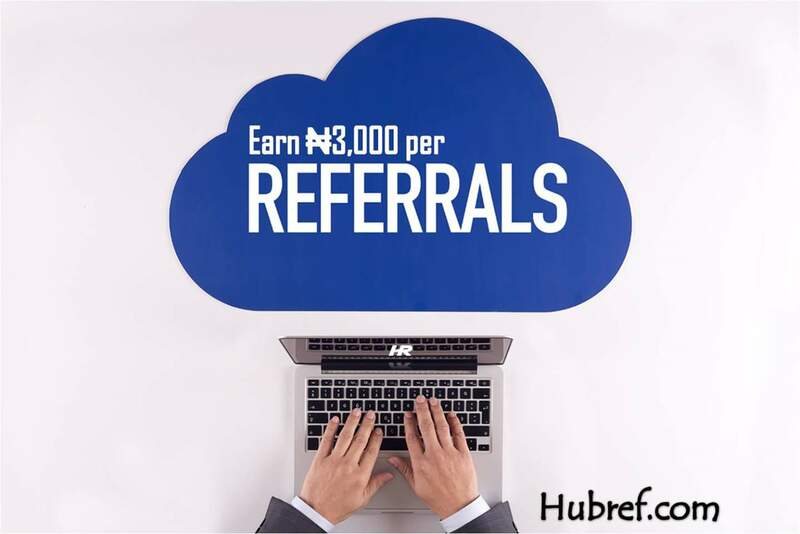 You register with ₦5,000 and you will be given access to all hubref services. You will earn ₦3,000 for each person that registers using your referral link. We aim at producing more profits for our members at a lower cost with easy referrals task, developing a broader customer satisfaction level with a free directory for the advertisement of any legal kind of businesses, raising the effectiveness of our members market programs and helping our members in alleviating their individual financial situation. Provide your mobile numbers and questions in the comment section below for account activation and responses to all questions. Get started now, go to hubref.com and create an account.